Concrete Shop proudly serves its clients as an architectural concrete-fabricating studio specializing in the production of, amongst others, concrete sinks, concrete counter tops, concrete floors, wall panels, furniture, fireplace surrounds, bathtubs, vanities, planters, and patio furniture. We offer products that can be designed in various shapes, forms, finishes, colors and textures. We possess the skills and experience necessary to provide a product that is specifically suitable for your application. Concrete Shop offers various types of concrete, including traditional cast, hand-pressed, GFRC, etc. We use all kinds of sustainable and environmentally-friendly materials, such as recycled glass and aggregate, silica fumes, water based coatings and sealers, and natural waxes. Using these materials helps make our products green and harmless to both the environment and the end-users. We collaborate with designers and architects in the fabrication of custom-designed pieces, while also working with individual clients in order to meet their special preferences. Concrete Shop was founded by entrepreneur Remik Iwuc, whose prior experience includes managing another NYC architectural concrete firm. Remik is the main force behind the firm and creates every single piece with his very own hands. Our clients greatly benefit from his expertise and passion for concrete. Remik's love of this art form results in genuine, creative, and extraordinarily unique final products, thus impressing even the most particular clients. Our belief that cooperating with clients from the drawing board to The final touches, and even during the post installation maintenance phase, sets a new precedent for the industry and separates us from the competition. 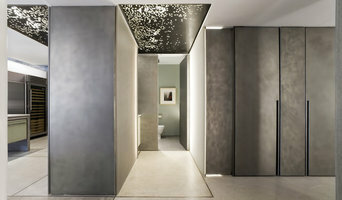 Our motto is to redefine concrete and reveal its inate beauty. Our goal is to create work that is elegant, unique, contemporary and timeless, but most of all - appreciated by our clients. 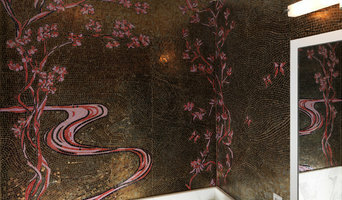 Decorative Artist, Ariana Hoffman has been partnering with residential and of the trade professionals for 18+ years. Our one-of-a kind artistry can be seen in multiple national publications, commercial offices, show houses, boutiques and private homes. The privilege of traveling around the country for her art, as well as developing the continued relationships with her local clientele, gives Ariana a well-rounded view of what is happening in the world of Decorative Painting. AH &CO. combines the talents of many additional artists, woodworkers, and fine finishers. Highlights of this past year include the commission of several private celebrity dwellings as well as a major oral care company headquarters. On the horizon is a fourteen-room contemporary oasis in Royal Palm Beach, Florida, as well as production of a line of made-to-order custom ceiling medallions. Ariana and her team value the necessity of the right color tone, finish choice and professional execution in every project. Custom concepts are developed for the client in order to obtain the highest level of artistry. The appreciation of this is seen by her discerning and varied clientele’s trust and consistent, continued business. The artist-client relationship is what inspires all of these great works of art. The ancient art of mosaic is created by combining small pieces of "tesserae" to form a larger image. I use this ancient medium to capture 21st century reflections of ourselves. My work has often been derived from photographs, capturing moments and bits and pieces of individual narratives. Using 3/8" micro-mosaic tile, marble, glass and/or smalti, these works express the relationship between people and their surroundings. Details that would otherwise go unnoticed are highlighted. Fine artists Pam Smilow and Gert Mathiesen exhibit their art work in galleries throughout the United States and internationally and especially like to work with interior designers and home owners to help them choose the right piece of art to decorate their space. Their love for art extends to architecture and interior design and its power and effect on people where they live and work. Pam Smilow is available for complimentary private consultations and will travel to corporate sites or homes with art (paintings on canvas, limited edition decorative art prints, and art works on rice paper). Even large art installation pieces can be brought on site as they are unframed and rolled until final delivery. This process takes guesswork out of buying art. Bringing art into your home décor can be a pleasurable and personal experience and you’ll immediately experience how different works of art can transform your space. In addition, Pam and Gert’s artistic palette on commissioned art is informed by the mood and color of the existing interior design and architecture. Smilow + Mathiesen travel extensively with their work and have placed their art in private collections all over the world including New York, the San Francisco Bay Area (such as Berkeley, Menlo Park, Palo Alto, Los Gatos, Saratoga, Hillsborough, Los Altos . . .), Los Angeles, Palm Springs, Dallas, Miami, Maine, Washington DC, and Dallas among others. In Europe they have sold art extensively in Spain, France, Denmark, Belgium, Luxembourg, Germany, and Sweden. Corporate and hospitality collections of paintings, prints, carved linoleum bas reliefs, and large art installations include: Sports Club LA, Asami Denki Co., Ltd.., (Tokyo), Den Danske Bank (Denmark), Mt. Sinai Hospital, Columbia Presbyterian Hospital (New York), Olympus Camera, Pfizer Corporation, Queensborough Community College, Excelsior Club (NY), G.N. Resound, IBM Corporation, Institut d’Estudis Ilerdencs, Josep Senillosa Architects (Barcelona), Kastrup Airport (Copenhagen), Kunstforening Carlsberg/Tuborg, Kunstforening National Banken, MODO Design, Barcelona, Reader’s Digest, Robert Martin Company, Saw Mill River Club, New York, Sekine Kensetsu Co., Shibuya Glass Co., TB Design Institute (Tokyo), Sullivan and Cromwell, Tiempo/BBDO Advertising (Madrid), United Engineering Society, and Yobo-Kenko Publishing Co. (Tokyo), Catellus (Oakland, CA). "People might agonize over all the particular design elements that comprise a room: what to put on the floor, window treatments, what couch to buy, etc., but in the end, the art has the loudest voice in the room"
Decorative painting company that offers all manners of custom crafted finishes on walls, floors and furniture. Masterful in both tradition and innovation, our work at Robin Sacks Decorative Painting fuses the rich history of decorative finishing with the vitality and rhythm of the modern world. The depth and span of our expertise offers the client a full range of finishes from which to choose, including gilding, plasters, murals, mixed media and faux finishing. Established in 1996, our services provide custom crafted surfaces for any interior or architectural project. As a full service company, RSDP will meet all of your decorative painting needs on walls, floors and furniture. We take great pride in finishing projects on time and will meet the most stringent deadline. I come to custom crafted surfaces with a passion for color itself. In addition to RSDP's extensive repertoire of finishes, I am known for my nuanced attunement in refining and reproducing existing finishes. This includes the micro-details of matching switch plates to upholstered or papered walls, and touching up areas affected by construction or water damage. My team consists of skilled artisans with years of experience in fine art and the field of decorative painting. I embrace each project with a sense of highly-individualized purpose, and collaborate directly with both designers and clients regardless of their stylistic approach. Projects begin with an in-depth initial consultation to identify needs and goals. Based on the meeting and portfolio review, I develop custom samples from which a client may choose, and the collaboration continues from there. Evolving Image Designs, is a decorative fine art finish company, specializing in custom wall & ceiling designs utilizing Venetian Plasters and Paint Glazes. Evolving Image services the metropolitan New York City, New Jersey and the Tri-State Areas to offer clients a “one of a kind” interior that reflects luxury. With over 17 years in the industry, Evolving Image has become the go to name in Faux Painting & Decorative Plaster finishes. “We hand paint every inch and guarantee you will love the richness, depth and contrast of each custom surface we create for you.” Also included in our services: Murals and Gold Leafing. We offer hand painted Wallpaper that can be shipped anywhere in the world. Our team works closely with Interior Designers, Architects, Build Design Teams and Developers in both Residential & Commercial spaces. With over hundreds of pre-made samples to look through, we strive to make the selection process & installation as easy as choosing wallpaper. If you have a client or your a home or business owner looking for this type of upgrade, please contact us for a free consultation. Browse our site: www.evolvingimage.com for ideas, inspiration, then call or email us for questions, samples, portfolio, advice and pricing. Please call for an appointment. Andrea 917-676-5959 or Annemarie 917-680-7075 email us: info@evolvingimage.com Thank you. Best of Houzz for 7 consecutive years! *Secure shipping anywhere in the United States and Canada* See our video here - <a rel="nofollow" target="_blank" href="https://casalomaartglass.com/about-us.html">https://casalomaartglass.com/about-us.html</a> Casa Loma Art Glass is a premier stained glass fabricator that offers world-class product quality alongside exceptional customer service. Our goal is to provide an impressive caliber of craftsmanship for all of your stained glass, cabinet glass, designed glass and glass panel needs. All of our designed glass inserts are handcrafted by proficient experts, created using copper foil technique. With an array of different styles and textures available, homeowners should have little trouble finding glass inserts that fit the dimensions of their cabinets and correspond with the décor of their home. My philosophy is that art on walls should create atmosphere. Hand painted rooms can be a bold focal point, or create a subtle background for the whole. 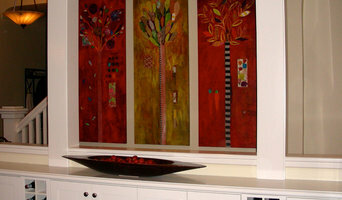 My work can range in style from representational murals, to graphic patterns, to more abstract. I am a New York City based interior artist and colorist specializing in custom created art on walls. The work I love to do creates feeling in a room; it’s expressive and layered, and not what most think of as a mural. I create painterly and/or graphic patterns, atmospheric murals in or out of scale (scenes inspired by nature or history, but reinterpreted for more modern tastes), color washes, or custom-cut stencils and stamps. Highly individual, hand-made art installations, each one-of-a-kind, developed in collaboration with interior designers and their clients throughout New York City, the Tri-State Area and Greater New England. I have completed projects in The Berkshires, Weschester, Brooklyn, Richmond VA, and love to travel for work. Whatever the design, I believe in the ability of wall art to transform a space and evoke emotion- be it to calm and bring peace, or excite and inspire play and creativity. What feeling do you want your environment to create? The work I do is extremely customized, and uniquely based on each client's needs and desires. I create a design and color sample before we begin, and submit an estimate. I don't consider my work as separate from the space, but part of the overall atmosphere. When I work with an interior designer or client I like to tailor the wall art to their particular space and vision. I take into account what already exists in the room, or if they are working with an interior designer, I will enhance and accommodate the new design. TROMPE L’OEIL MURALS, FAUX PAINTING, GILDING A European-trained husband-wife Master-Painters team with 27 years of experience is open for both privet and commercial projects in New York area. We offer a wide range of faux painting and mural technics. Monarch Painting paints faux finishes, murals and decorative finishes for residential and commercial clients. Victor DeMasi and Irene Gindera, the principal painters, work with homeowners and designers and can supply expert color consulting and design. Mix and match coloring for fabrics is a specialty. Historic projects include Yale University and The National Park Service. 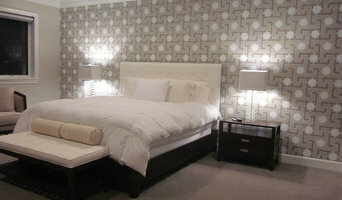 The Monarch Studio houses a large collection of samples and portfolios of completed projects for client reference. Contracted work is available as a bulk price or hourly rate. Future touchups are guaranteed by an extensive customer job file. Monarch Painting has been featured in The New York Times, House and Garden magazine and scores of national and local publications. Maven Murals is custom mural company that delivers custom murals that engage, educate and strengthen growing minds and communities. As seen on Animal Planet, Maven Murals has completed work throughout Europe, South America and across the United States. Maven Murals is run and operated by Chinon Maria Studios. Mirabilis Finishes is New York-based group of artisans specializing in the application of authentic Moroccan Tadelakt plaster using the tools and techniques learned from Berber craftsmen in Marrakech. With over 12 years of Tadelakt experience, Mirabilis Finishes are proudly considered to be pioneers of this beautiful application in New York City and have strived to improve and develop the techniques to adapt to different situations, climates and materials by collaborating with other masters of the trade across the USA and Europe. All our Tadelakt work is finished by polishing the material using river stones black olive soap as it has been for over 2,000 years. Mirabilis Finishes also have over 20 years experience of working with a wide array of natural "Venetian" plasters, Japanese Shikuui, American Clay and other mineral coatings from around the world. Mirabilis Finishes is comprised of a group of artisans who share an inherent love and appreciation of the ancient craft of plastering. These highly trained craftsmen have traveled extensively in Europe and Morocco to study time-honored techniques and borrow from arcane knowledge, handed down from master to apprentice through the ages. Consummate professionals apply all Mirabilis Finishes, each project bearing the unique signature of the individual artisan. Mirabilis collaborates with architects, designers, home and business owners to realize their visions regardless of the scope of the project. Natural earth plasters can be used across the design spectrum with myriad texture and color possibilities, from old-world rustic to modern minimalist. Mirabilis Finishes is dedicated to sustainable building practices, drawing from the lessons of the past to create a cleaner, healthier and more beautiful future. Original Art Pieces from the Brightest Emerging Artists Whether you’re an interior designer or first-time collector, shopping for home or office, finding quality artwork online doesn’t have to be a guessing game. Unlike other art markets, we make sure the art you see online is a good fit for your space before you invest. Künstler in Passaic, NJ zu sein, ist kein Beruf – für die Ausübenden von Kunst ist diese Tätigkeit in der Regel eine Berufung, die mit Inspiration und einer tiefen Verbundenheit zum Leben einhergeht. In den Ateliers und Arbeitsstätten von Künstlern entstehen Einzelstücke und Unikate, oft in tage- oder wochenlanger Handarbeit hergestellt. Holz, Beton, Stahl, Metall oder Keramik: Kunsthandwerker kennen die die Eigenheiten in der handwerklichen Verarbeitung verschiedener Werkstoffe und finden maßgeschneiderte Lösungen für die Garten- oder Innenraumgestaltung mit Kunst. Nicht unerwähnt soll auch die digitale Kunst bleiben: Fotokunst, Kunstdrucke oder Pop-Art Kunstwerke, die sich der Möglichkeiten des Computers bedienen, sind ein beliebtes Mittel zur Wandgestaltung und werden immer stärker im Kunsthandel wahrgenommen. Für alle anderen sind Kunstwerke eine wunderschöne und exklusive Möglichkeit, das Haus oder den Garten zu verschönern. Selbst Menschen, die das Sammeln von Kunst als Wertanlage erachten und Ihre Kunstschätze im Tresor aufbewahren, würden beim Kauf von einem Gemälde oder einer Skulptur niemals den ästhetischen Wert außer Acht lassen. Was Kunst ist und was nicht – im Kontext der Gestaltung Ihrer eigenen vier Wände entscheiden Sie darüber. Dennoch ist unbestritten, dass eine große Wandmalerei im Wohnzimmer oder moderne Kunst im Garten etwas ist, das für Aufsehen sorgt. Der Übergang zwischen Kunst und Kunsthandwerk ist fließend, denn für viele handwerkliche Tätigkeiten ist eine künstlerische Begabung gefragt und umgekehrt. Im Kunsthandwerk steht die Beherrschung bestimmter Techniken wie Töpfern, Drechseln oder Modellieren an erster Stelle. Der gekonnte Umgang mit Materialien wie Holz, Ton, Glas, Metall oder Beton ist hier maßgeblich. Während freischaffende Kunstmaler Ihre eigenen Werke verkaufen, sind Auftragsmaler (und ganz besonders Porträtmaler) in Ihrer künstlerischen Freiheit ein Stück weit eingeschränkt, da das Ergebnis oder zumindest die gewünschte Richtung vorgegeben ist. Auftragsmalereien sind dazu geeignet, wenn Ihnen selbst eine bestimmte Idee für Ihre individuelle Wandgestaltung vorschwebt. Beim Einrichten einer rustikalen Berghütte können Sie Holzschnitzer beauftragen, die das Treppengeländer verzieren oder Fassadenmaler, die das Bergpanorama auf Ihre Außenwände malen. Unter den Künstlern bei Houzz findet sich nahezu jedes Kunsthandwerk in Passaic, NJ. Kunst im Garten oder eine besondere Malerei im Arbeitszimmer ist eine exklusive Art, dem eigenen Zuhause eine individuelle Note zu verleihen. Künstler in Passaic, NJ gesucht – wie finde ich kreative Köpfe? Drucke, Poster, Fine-Art Fotografien oder Ölgemälde: Wandgestaltung ist fraglos eine der beliebtesten Möglichkeiten, um Kunst zu präsentieren. Doch nicht immer müssen es Fotos oder Kunstdrucke sein – haben Sie schon einmal über eine exklusive Wandbemalung nachgedacht? Illusionistische Wandmalerei bringt Ihre Lieblingslandschaften und -orte zu Ihnen nach Hause. Darüber hinaus lassen sich Wandbilder in nahezu jedem Raum umsetzen. Kontaktieren Sie Künstler und Wandmaler in Passaic, NJ, um ihre Wände mit exklusiven Gemälden ausstatten zu lassen. Filtern Sie Ihre Experten-Seite gezielt nach Einträgen von Kunstschaffenden in Passaic, NJ. Durchstöbern Sie die verschiedenen Portfolios und entdecken Sie aufregende Gemälde, Skulpturen oder Wandbilder für Ihr Zuhause. Bevor Sie einen Künstler und Kunsthandwerker kontaktieren, können Sie andere Kundenbewertungen lesen.